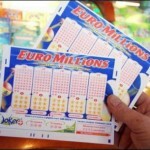 Euromillions lottery officials report that a £63.8 million jackpot prize is yet to be collected nearly a month after it was won. The Jackpot prize is from a June 8 Euromillions lottery draw and to date none has stepped forward to claim the juicy lottery prize. Sales records from the Euromillions lottery agent reveal that the ticket was purchased in the UK around the Stevenage and Hitchin area. The winning numbers from the draw were 5, 11, 22, 34, 40 with the lucky star numbers being 9 and 11. Euromillions lottery players are being urged to check and recheck their lottery tickets just in case they have the winning numbers printed on their ticket. The ticket holder to the unclaimed lottery jackpot has six months to come forward and collect the prize. 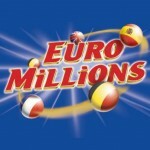 After the six months are over, the jackpot prize will be directed to the Euromillions good causes fund. 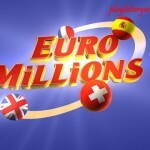 The Euromillions draw slated for tonight will have a € 40,000,000.With less than six hours of the draw; lottery players around the world can beat the lottery queues by purchasing their Euromillions lottery tickets online. Onto other news, the Arkansas lottery sales figures from the 2011/2012 fiscal year are out. The state lottery game has its profits amounting to $474 million. This is a $81.7 million rise from the previous fiscal year. The state lottery attributes the rise in profit to the increase in the ticket sales of the Powerball and Mega Millions lottery games. 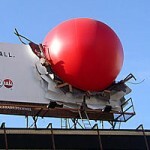 In the spirit of goodwill, the charity will be the largest beneficiary of lottery ticket sales. The state lottery is yet to announce the figure to be donated to the state’s scholarship fund.